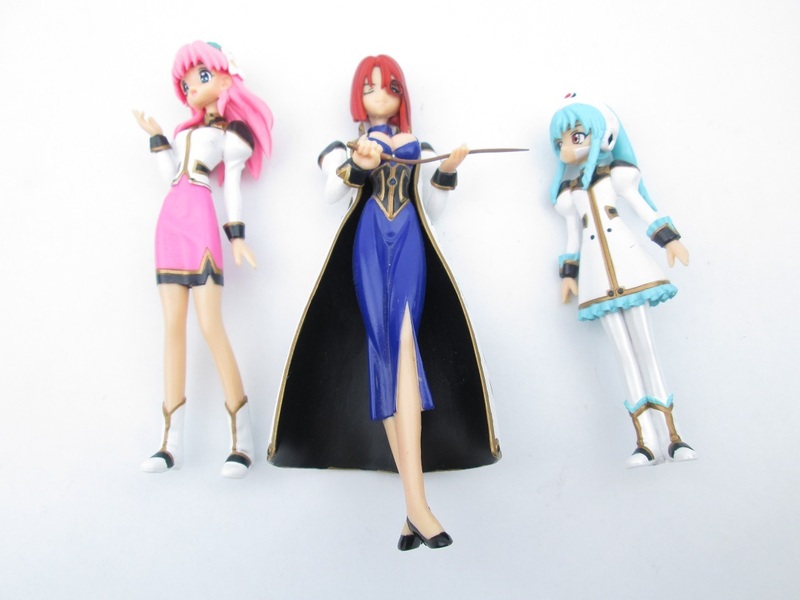 Any help identifying these three female anime figures would truly be appreciated. They look like they are from the same series because they are wearing matching military-style coats. I've been looking for a long time with no leads. Thanks for your help. 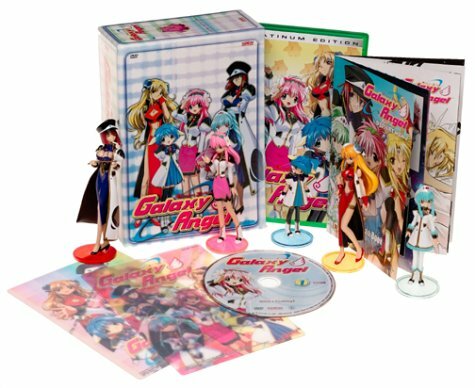 All three are from the Galaxy Angel Series, in particular the first series featuring the Moon Angel Troop. The figures themselves I believe come from the Limited Edition of the first volume of the anime (which is totally different from the visual novels). They are, as Sigfried666 has pointed out, Milfeulle, Forte and Vanilla. You seem to be missing Ranpha (blonde hair) and Mint (blue hair) and you seem to be missing the stands and Forte's hat. Another interesting point is that Mint's clothes can come off, probably so as to let her cosplay, but I never found any outfits for her aside from her uniform.